Oftentimes it happens that we keep our eyes in the sky, cursing the avian pests for plucking our crops, completely forgetting what’s happening on the ground under our very noses. We’re talking about the second most annoying pests – moles. If you want to completely secure your crops and fields, you need protection from both what’s happening above and below. Using our mole traps will make sure that the latter is covered. 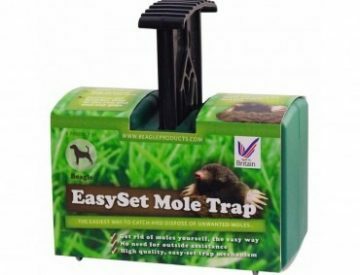 Easyset mole trap is one of the simplest and most effective mole traps.